You may be aware that during the summer term of 2018, the Governing Body undertook a voluntary external review to reflect on the board’s strengths and areas for development. The review was conducted by Ruth Agnew who is a former local authority governor services manager and an experienced governor trainer and consultant. Ruth is the Chair of Governors of a primary academy as well as being a governors at a secondary school. She is also a governor at a special school. Ruth was designated as a National Leader of Governance (NLG) in April 2012 and has undertaken a substantial number of external reviews of governance since that time in a wide range of settings. She is also an experienced Governor Mark assessor. Ruth met with all of the members of the Governing Body as well as the Headteacher and members of staff. We are delighted to be able to share the feedback from the review. “The committee structure has been streamlined to ensure that all areas of governing body business are covered in an efficient way. The two-committee structure which has been adopted is in line with National Governance Association (NGA) guidance and appears fit for purpose”. “A number of governors have specific roles which have been aligned with the responsibilities of a member of the senior leadership team. 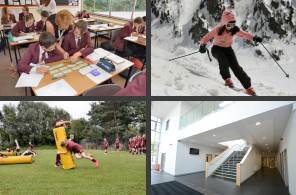 The current “aligned roles” are ‘health, safety and wellbeing (incorporating safeguarding)’, ‘looked after children and pupil premium’, ‘community’, ‘fundraising, business development and special educational needs’ and ‘ alumni association development’. Continue to succession plan and ensure that a range of skills are covered in the governing board particularly in finance and law. 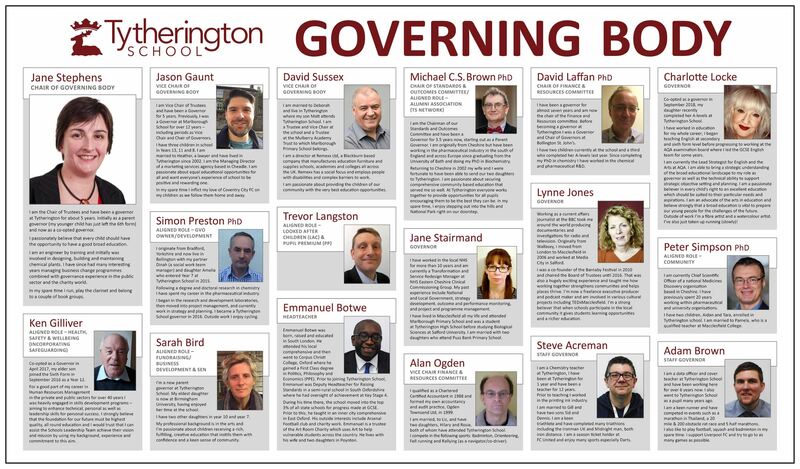 Continue to develop a governors training programme to ensure that there is strong induction in place for new governors as well as continuing to keep the board fully updated with developments in education. Work closely with the Headteacher and all stakeholders to ensure that there is a clear strategic plan for the development of the school. Ensure that the Governing Body continues to analyse and respond to all performance data and quality assurance relating to the school.